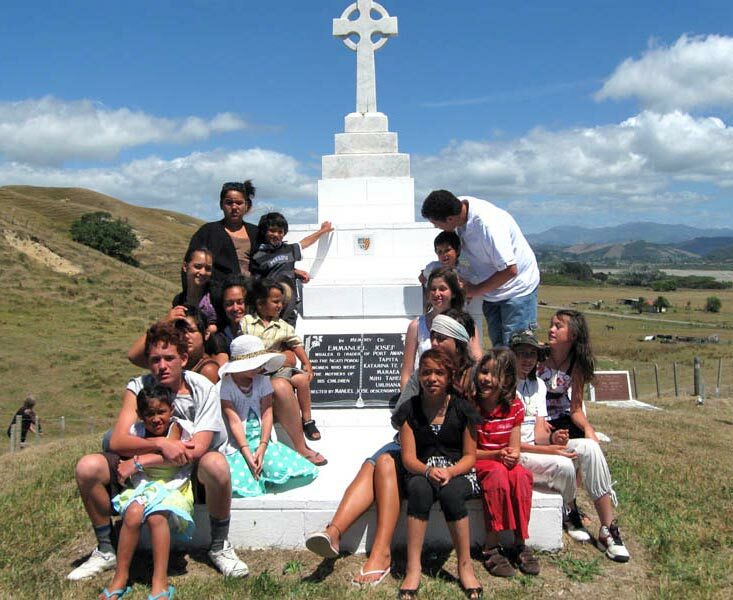 Some of the several thousand descendants of the Spanish-born Pākehā–Māori trader Manuel José pose at his memorial at Tīkapa, East Coast. Manuel José had five wives in the years when he lived among East Coast Māori from the late 1830s. Their descendants are known as 'Paniora' (Spaniards). Several groups of Paniora have made trips to Manuel José's home village of Valverde del Majano in the Spanish province of Segovia.